The properties of an associated surface can be edited with the Edit Associated Surfaces Properties command. 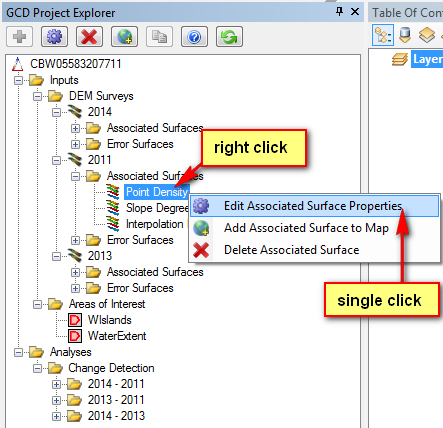 The Edit Associated Surface Properties dialog is accessed by right clicking an associated surface in the GCD Project Explorer to bring up the Associated Surface context menu and then single clicking the command, as in the image below. This will bring up the Associated Surfaces Properties dialog shown below.